I live to travel, experience new places, try new food and meet new people — but I don’t do it just for myself. I travel 80% for you and 20% for me. It’s true. I do my best to uncover destinations so I can bring back the tips, ideas, information and inspiration that will help you not just travel, but travel well. This month is going to be filled with travel and I plan on bringing you along for the ride and reporting back on the good stuff. 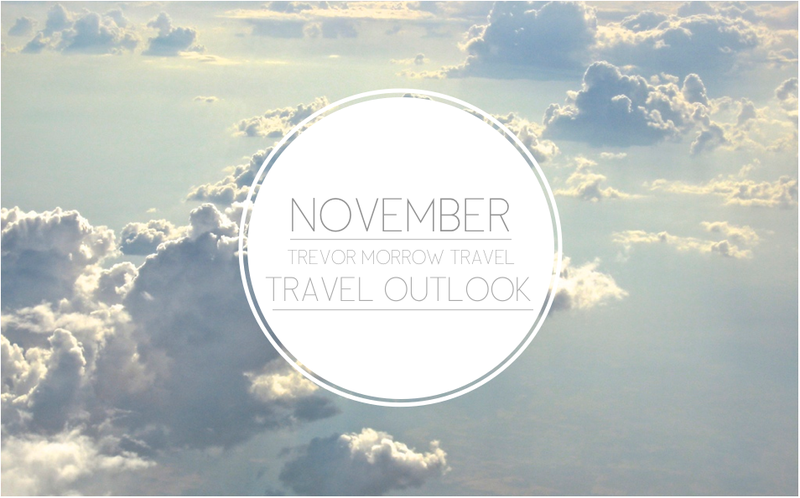 If you subscribe to the TMT Explorer, you already know about my November travel outlook, but for those of you not yet a part of the TMT Explorer party, I’m here to fill you in on what you can expect this month. 1) First up, I’m heading to Maui, Hawaii (I’m actually writing this on the plane to Maui right now). I’ve got an amazing five days lined up and if you want to follow along as it happens, check me out on Instagram, Twitter, and Facebook. Don’t be afraid to say “hi,” ask questions, or let me know what you think! 2) From Maui, I’ll be heading to New York City where I’ll spend just over a week hanging with friends and family, filming a few new travel videos, and checking out some bars, restaurants, stores, and hotels that have been on my list for a while. 3) From there, I’ll be headed to Switzerland for a few days in Geneva and the surrounding area (I’ll be checking out the surrounding lakes and mountains and possibly heading into France for a day or two). More on that trip later. Alright, there you have it. I’m already thinking about where I can go in December (Paris? ), but after all this travel, just taking a regional trip or two in California (where I live) is sounding pretty appealing. A cabin in Big Sur? A trip to the desert? We’ll see. Thank you for following along and I’m looking forward to bringing you some great info on social media and more in depth coverage later here on Trevor Morrow Travel.